Under 16? We have a race for you too! Inspiring the younger generation to get active! At Race At Your Pace, we want everyone to find a love for running, fitness and activity. We particularly want to inspire young people to get moving so have specifically chosen distances on all of our challenges for under 16s. The challenges are just $13.00 to encourage young people to increase their activity levels. But if your son or daughter is looking for more of a challenge, they are more than welcome to join an adult distance. Remember there is no need to submit evidence files for the kids challenges – we send the packs out automatically to the registered parent/guardian as we know that young people can’t always record their miles. Find your perfect kids challenge for running, cycling and swimming below! There are 4 distances available for under 16s to take part in: 5 miles, 10 miles, 15 miles, 20 miles and 30 miles. At Race at your Pace, we’re passionate about making sure everyone across the US finds a love for running, fitness and activity. Our mission is to inspire the younger generation to enjoy exercising and get moving with our epic virtual challenges! These challenges sell out quickly though, so be quick and enter your child today! There are 3 distances available for under 16s to take part in: 10 miles, 25 miles and 50 miles. Cycling is another of our passions here at Race at your Pace, which is why we also organize a range of cycling virtual challenges for children to enter. Sign up your child to one of our popular challenges today! There are 3 swimming distances for under 16’s to choose from; 1 mile, 2 miles and 5 miles. At Race At Your Pace, we love swimming and getting active! How do the Kids’ Challenges work? The kids’ challenges run in exactly the same format as our other challenges – they begin on the 1st of the month, and you have the entire month to complete your challenge. You’ll also receive an awesome medal too, engraved with your challenge distance, so you can make your friends jealous when you wear your bling to school! 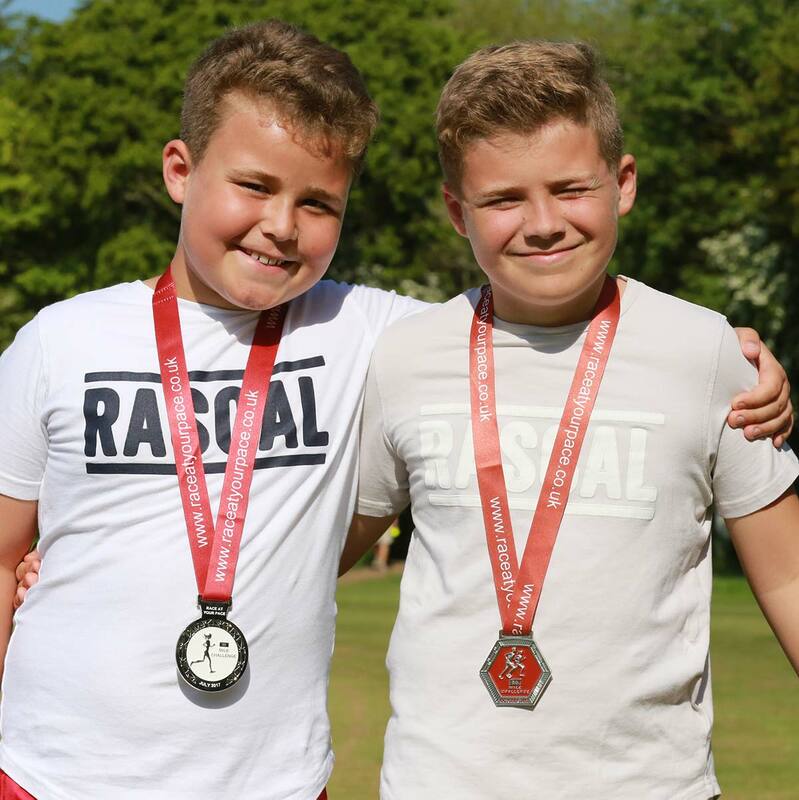 The only difference between our kids’ challenges and others is that these are ‘medal only’ and no evidence is required – the medal will be automatically mailed to the parent/guardian. It is then at the parent/guardian’s discretion to decide if the participant has completed the challenge and decide whether to present the medal to the participant. The entry fee is $13.00 and is all inclusive, there are no extra or hidden charges. We also have challenges for runners, as well as some that can be completed on your bike too!